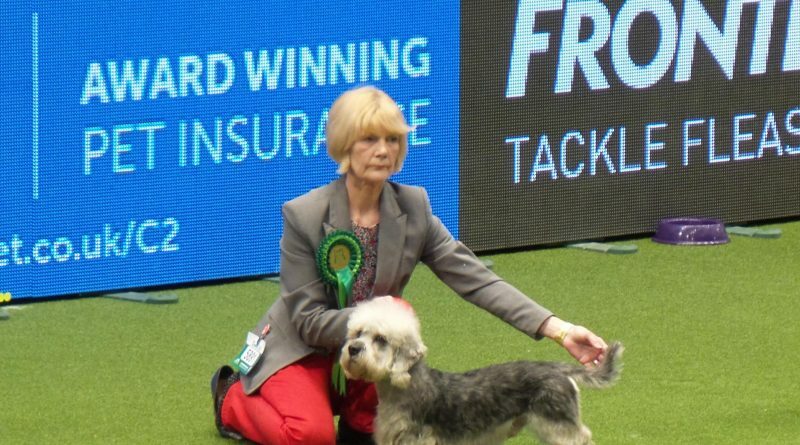 Friday 9 March was Terrier and Hound day at Crufts 2018. Below is a round up of all the winners and the day’s biggest stories. All the video action from day two can be found at the Crufts YouTube channel. All of our images from the show can be found here. The winner of the Terrier group was Bopper the Scottish Terrier. Reserve went to the Irish Terrier; 3rd was the Jack Russell, while 4th was the Manchester Terrier. You can watch the full group judging here. The winner of the Hound group, and ultimate winner of Best In Show on Sunday, was Tease the Whippet. Reserve went to the Afghan Hound; 3rd was the Wire Haired Dachshund, while 4th was the Irish Wolfhound. You can watch the full group judging here. The Zentarr Lhasa Apsos won the Breeders Competition. This was the largest group of dogs in the ring during the entire show, with 116 animals in one place at the same time. A video of this competition can be found here. Breed specialist Paul Keevil judged 67 Dandie Dinmont Terriers, the highest entry in recent years. He put the dog, Borderstone Kingman for Linnia, forward as his best of breed. The one high profile breed in the Hound group all passed its vet check. There are no high profile breeds in the Terrier group. HRH Prince Michael of Kent attended the show to present a special award to Ben Parkinson MBE, a 33-year-old former soldier who suffered catastrophic injuries when his vehicle was blown up in Afghanistan in 2006. Ben is now patron of the Scottish Terrier Emergency Care Scheme. There was a special performance from a stringed Pawchestra, who played a piece of music specially composed for dogs. Elsewhere, The Kennel Club Charitable Trust received a £75,000 cheque from pet insurance firm Agria. The Radio Times featured a gallery of images of dogs watching Crufts on TV.